Medicopia MediMigraine is a revolutionary new medication that provides safe, effective, natural migraine relief -- without the side effects of conventional medications like acetaminophen, acetylsalicylic acid (ASA) and other non-steroidal anti-inflammatories (NSAIDs). MediMigraine is an all-natural migraine therapy made from Platinum Grade Tanacetum parthenium, a traditional medicinal herb that's native to Eurasia. 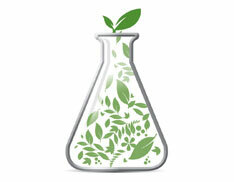 For centuries, this premium ingredient has proven to be effective in treating and preventing headaches. In ancient times, people used it to relieve their "fevers." More recently, a variety of studies have clearly shown how treatment with MediMigraine has resulted in fewer, shorter migraine headaches with less nausea and vomiting (in people who suffer from these migraine symptoms). 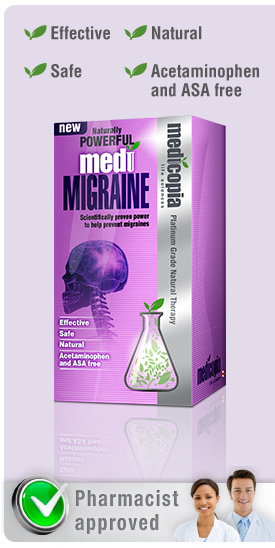 Next >> How does MediMigraine help relieve migraine headaches?